Geneva, 12 January 2015 – A new handbook on CITES and livelihoods was launched today, jointly by the Secretariat of the Convention on International Trade in Endangered Species of Wild Fauna and Flora (CITES) and the General Secretariat of the Organization of American States (OAS). 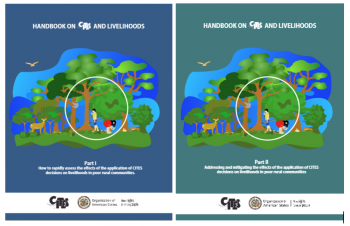 The handbook aims to support the effective implementation of the Convention by enabling countries to assess the impacts of the CITES listings on the livelihoods of poor rural communities that live alongside wild plants and animals. It targets CITES Management and Scientific Authorities, as well as local and municipal officials responsible for the implementation of national biodiversity-related regulatory framework, regional/international organizations, civil society organizations, and researchers that work on topics related to the links between people and the environment. This Handbook is the result of a collaborative effort involving experts, communities and institutions. Claudia de Windt, Department of Sustainable Development, Organization of American States, added “the CITES and Livelihoods handbook demonstrates the intrinsic link to Sustainable Development Goal 15, where countries are encouraged to increase the capacity of local communities to pursue sustainable livelihood opportunities in order to enhance support for efforts to combat poaching and trafficking of protected species”. The new handbook, which is currently available in English and Spanish, is being deployed to conduct rapid assessment on the impact of CITES-listings on local communities and develop case studies that consider how to maximize positive impacts and mitigate negative ones. It is based on the existing toolkit and guidelines, and in line with Resolution Conf.8.3 (Rev.CoP13) on the recognition of the benefits of trade in wildlife, and Resolution Conf. 16.6 on CITES and livelihoods, as well as Decision 16.16 to 6.25 on CITES and Livelihoods. The French version of the handbook will also be made available during the course of the year. With 181 Parties, CITES remains one of the world's most powerful tools for biodiversity conservation through the regulation of trade in wild fauna and flora. Thousands of species are internationally traded and used by people in their daily lives for food, housing, health care, ecotourism, cosmetics or fashion. CITES regulates international trade in over 35,000 species of plants and animals, including their products and derivatives, ensuring their survival in the wild with benefits for the livelihoods of local people and the global environment. 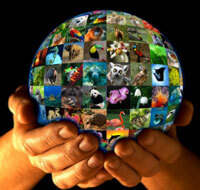 The CITES permit system seeks to ensure that international trade in listed species is sustainable, legal and traceable. CITES was signed in Washington D.C. on 3 March 1973 and entered into force on 1 July 1975.